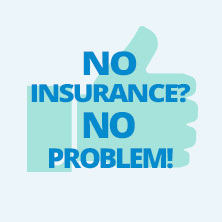 CALL US TODAYCall or request appointment online! Welcome to Library Plaza Dental Center! We are so excited that you’ve chosen our center to be the team that takes care of you. As a team, we pride ourselves on our ability to not only give you bright white teeth, but a smile that you are proud to call your own. Dr. Sivan Patel goes out of his way to deliver exceptional oral care from your very first appointment. From pain management techniques to preventive treatments, your dental care is taken very seriously at Library Plaza Dental Center. We believe in treating each patient like one of our own family members, all while putting your oral care as our main priority. Although long-term oral health is our ultimate goal, we also strive to make you comfortable in a relaxing environment that you will love coming back to time and time again. 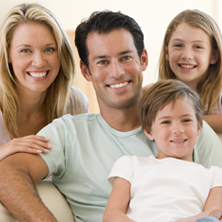 We also offer emergency dental care and offer Saturday hours to help accommodate your schedules and life emergencies. In our practice, you’ll find amenities that are designed to make your experience with us as enjoyable as possible. From a relaxing waiting area to comfortable treatment areas, our practice was designed with your needs in mind. Dental technology is always evolving from one procedure to the next. Whether your appointment requires anesthesia or you come in for general cleaning, we make a point to inform you of what is happening at all times so that you’re comfortable throughout the entire procedure. 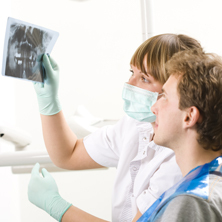 Staying up to date with the latest technologies allows us to better diagnose and treat your oral concerns and needs in an appropriate manner. Aside from that, we love being able to offer all of the methods of treatment that you need to actually maintain that healthy smile that we all love to see. If you’re in search of a dentist who will put your oral health first, you can’t go wrong with Library Plaza Dental Center. If you live in Des Plaines and would like to schedule your next appointment with Dr. Sivan Patel, contact us today. Check out some of our reviews from some of our satisfied clients. Excellent experience! From entrance to exit, start to finish, respect for me as a patient. , smooth Doctor exuded confidence and finesse. The staff was very considerate, gentle and professional. This office is run very thoughtfully and methodically. Billing was efficient. No room for improvement, thank you! Smoothest appointment ever. Got right in at my appointment time and everything that proceeded was seamless. The hygienist was very sweet and competent. Dr. Patel was very nice and when he gave me a referral to see a specialist, he was very particular in giving instructions. I really appreciated his concern in which specialist I should pay a visit. I’m kind of excited for my next dental check-up. Is that weird? We have been going for several years and absolutely love Dr Patel and his staff! Great experience!! Dr. Patel was very professional and knowledgable. I was in severe pain over the weekend and he was able to do a root canal, and I have had no pain since then. He addressed all my concerns and gave me a treatment plan and explained it step by step. Staff was very friendly and the office very clean and modern. I’m def going to return for all my dental needs. 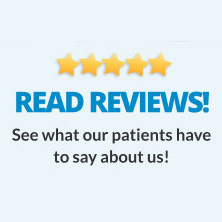 Dr. Sivan Patel is amazing, very professional and courteous and takes the time to listen to patients concerns. You don’t feel rushed at all. I would recommend this place to anyone who ask me for Dental work! Office is clean and spacious and staff is amazing! Keep up the great work guys! He is great! My daughter had been there several times and always leaves with a bright, genuine smile. They take the time needed to explain everything and we’ve never waited more than 10 minutes to see the dentist. He is great with kids and adults, we love him! Very swift with scheduling and receiving at the time of appointment. My experience with the Dentist was also very pleasant. Other than covering all aspects of my check and explaining each observation/recommendation, he was also patient with my questions and shared additional information. Would definitely recommend this place for anyone. First time patient for a cleaning. Dr. Patel was very thorough and honest during my cleaning. Through the cleaning, he would ask about my comfort/sensitivity and make sure I felt no discomfort. I had some discomfort on one of my fillings so he very clearly communicated that it needed minor repairs. While repairing the filling I felt no pain, he did a great job. His staff was friendly and polite. They have televisions/Netflix and radio in the room. I also asked about Invisalign. They offer a $250 consultation and they also offer teeth whitening. Dr. Patel was very clear in explaining the processes of both. I will be glad to return! I highly recommend Dr. Sivan Patel & his staff! This is a great office, friendly staff, and a very informative and thorough dentist. He answers all your questions and makes you feel comfortable with the work he does. The best part is you can never feel him doing the work! Had a discussion with Dr. Sivan. He called me personally to understand the issue and clarified it to me. As well he assured me that it won’t happen again. Definitely will recommend Dr. Sivan for your dental needs and regular cleanings.